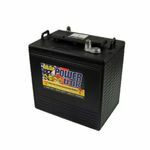 Our range of caravan batteries and boat batteries includes low maintenance, low capacity models that are perfect for casual use to high power models designed for heavy duty applications. 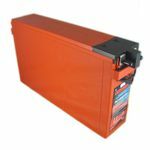 Whether you have a small caravan that you use for the odd weekend away or a large boat that you live on for long periods of time, we can supply you with a battery that is perfect for you. High quality at low cost is our motto and we always strive to ensure that every customer gets what they need at the right price. Many of our leisure batteries are also ideal for use on boats. Generally speaking, when shopping for a boat battery you should be looking for something that is capable of providing a high current to start the engine as well as deep cycle reserve power for when you are moored, to keep your lights and other electrical equipment running. We have a number of models that meet these requirements and would be happy to help you choose the right one for your boat if you need any assistance. On the other hand, if you already know exactly what you want, please feel free to go ahead and place your order. As soon as we receive it, we will get to work straight away and make sure that it is dispatched without delay.